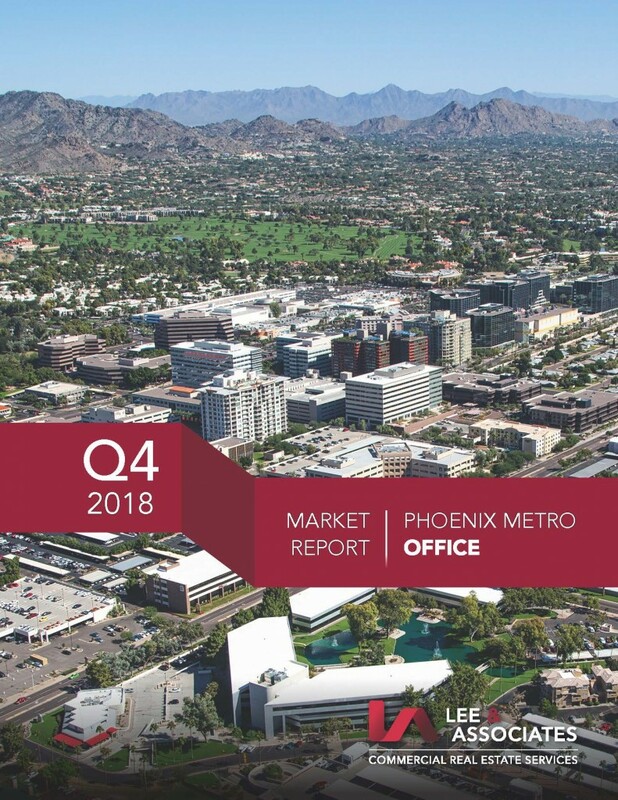 The Metro Phoenix Office Market tightened in 2018 and is expected to follow the same script in 2019. This is not happening across the rest of the country. Phoenix is poised to continue growing longer and in a more robust fashion than the vast majority of U.S. cities. The Valley of the Sun’s value proposition continues to persuade existing companies to expand and entice new groups to experience the region. Simple as that. Net absorption of office space (the key measure of job growth) improved dramatically from 2017’s figure of 1.8 million square feet (SF), to 2.8 million SF in 2018. Vacancy started 2018 at 19.7% and ended the year at 17.6% — the lowest vacancy since 2008. As vacancy drops, Class A lease rates have increased, albeit a small amount, to an average of $29.28/SF at year end 2018. We are set to hit an all-time high in 2019 with Class A average lease rates expected to eclipse $30/SF across the Valley. Additionally, available sublease space decreased from 2.5 million to 1.9 million SF during the year. PS- Here is a link to Lee & Associates Arizona’s Historical Office Market Statistics with some great information as well.